You’re in the software business. You may not realize it yet but it’s the only way you’re scaling in the 21st century. Whether you’re in retail, financial services or health care, no industry is immune. This includes agriculture. In this rich, detailed case study Jeff will share the story of John Deere. The legendary American farm machine manufacturer, keenly aware and on top of the technological revolution, has built up a surprising Sense & Respond practice to help them innovate their product offerings — especially their tractors and combines. However, Sense & Respond is not just a practice for product and design teams. It has significant management and leadership implications. As the case study will show, despite their deep understanding of customer needs, John Deere struggled to reconcile that feedback with their leadership agenda leading to some fascinating customer practices that left both the farmer and the company in sub-optimal positions. This vivid story will illustrate that even great product and design practices don’t always influence corporate agendas while highlighting ways that leadership must engage to build a truly successful Sense & Respond loop. Jeff is the author of Lean UX and Sense and Respond, a speaker and organizational designer. Over his nearly 20 years in digital products and services Jeff has worked to bring a customer-centric, evidence-based approach to product strategy, design and leadership. Jeff has worked in various roles and leadership positions at iXL, Fidelity, AOL, WebTrends, and TheLadders. 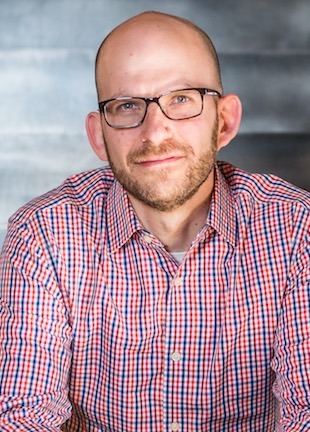 Most recently Jeff co-founded Neo Innovation (sold to Pivotal Labs) in New York City and helped build it into one of the most recognized brands in modern product strategy, development and design. As a principal in Neo’s NYC office, Jeff functioned as head of executive training, coaching, workshops and education. Jeff is regularly keynoting conferences, teaching workshops or working directly with client leadership teams across North America, Europe & Asia.